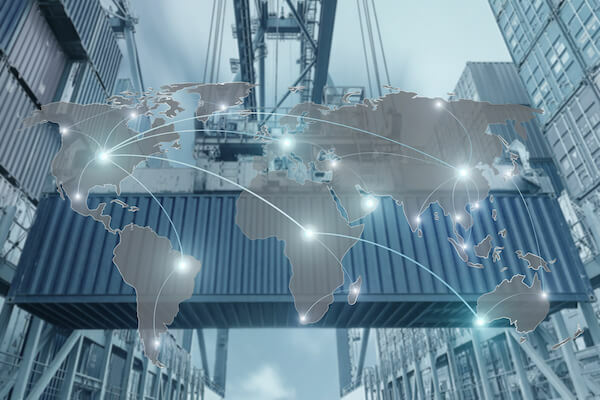 Competition in the SME sector of international payments has been heating up over the past year, as Transferwise and other new players have begun moving into this lucrative space. SMEs can be offered a broader range products such as forwards and in limited cases options that carry higher margins than one-off payments and lock customers into longer-term relationships. Multi-currency accounts and credit products further deepen these relationships. That said, it can be hard to sell such products to smaller companies that are unfamiliar with the nuances of FX risk. 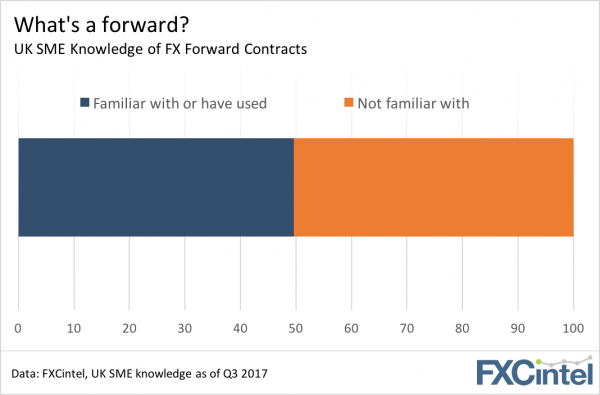 Looking through our latest data, just over half of UK SMEs are entirely unfamiliar with the concept of forward contracts. We believe this creates an enormous opportunity as the levels of usage of all these products by SMEs is still relatively small. Want to learn more about detailed FX product use and segmentation among SMEs, either in the UK or other countries? Get in touch with us. While everyone was on holiday, six banks (including HSBC, Barclays, and Credit Suisse) joined UBS in an effort to launch a distributed, digital ledger system for simplifying their payment settlement process. The system is based around the so-called Utility Settlement Coin, which is an asset-backed cash instrument the banks will use to settle the transactions. The plan is in many ways similar to Ripple’s (available) xCurrent system, which also uses a blockchain-based digital ledger to simplify international payment settlements between banks and their correspondent networks. UBS’ project is set to go-live near the end of 2018. We’ll be tracking their progress, and Ripple’s potential response, along the way.